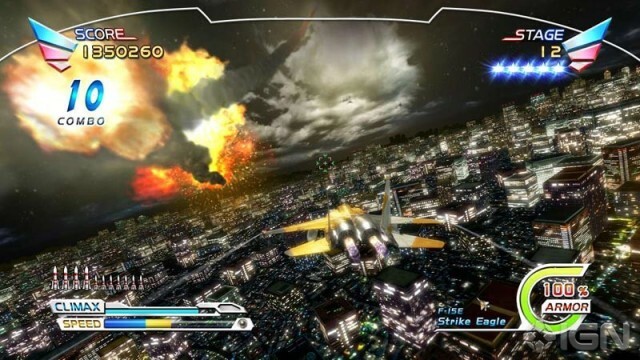 The console version After Burner Climax is possibly the perfect realization of the original After Burner vision. I apologize if this review seems a bit rushed… that’s because it is. 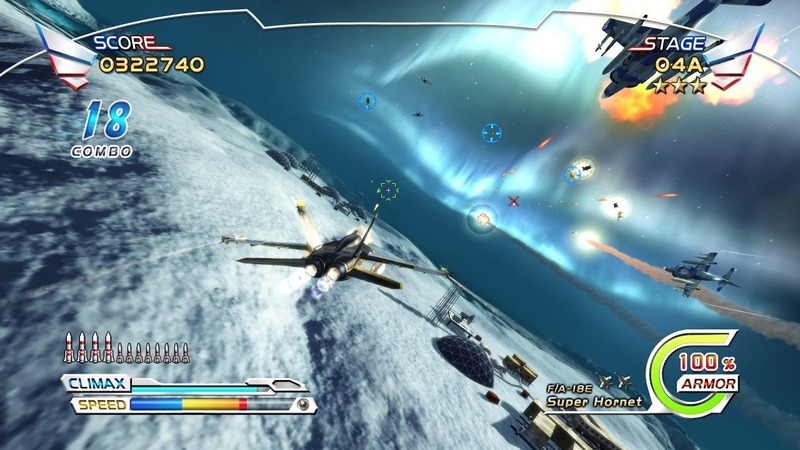 You see, there is reason to believe that After Burner Climax may be removed forever from the storefronts of Xbox Live, PSN and the App Store on December 24, 2014, meaning that gamers have less than two weeks to snag the game before this review would officially become a “Retro Review.” This would be a shame, and hopefully, though rushed and rough, I can help explain why. I’ve always had a soft spot for After Burner. It wasn’t the first SEGA Master System game my family owned as a kid, but it was the first game that seemed really special. It was After Burner after all, the arcade mega-hit squeezed into a tidy, 4-megabit cartridge. And while over the years I’ve come to realize the limitations of the Master System port of that game, SEGA wasn’t done re-releasing and refining After Burner over the years, and this has all culminated in After Burner Climax, a beautiful, masterful reworking of SEGA’s legendary arcade classic by developer AM2. Bring on those blue skies! 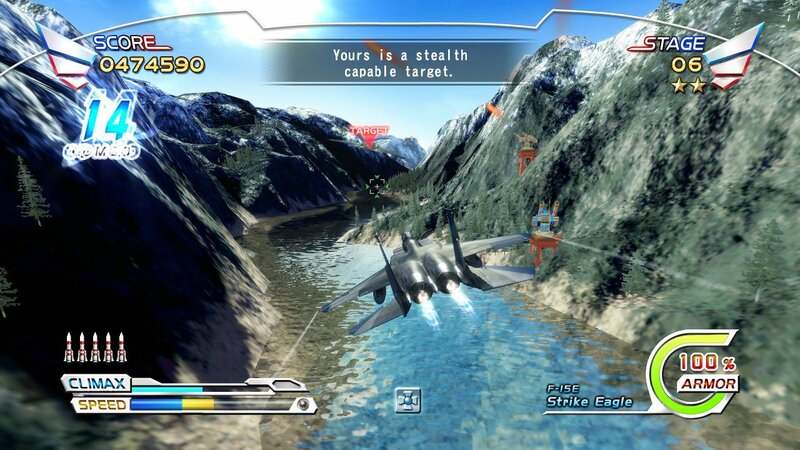 After Burner Climax is really more of a remake than a sequel. 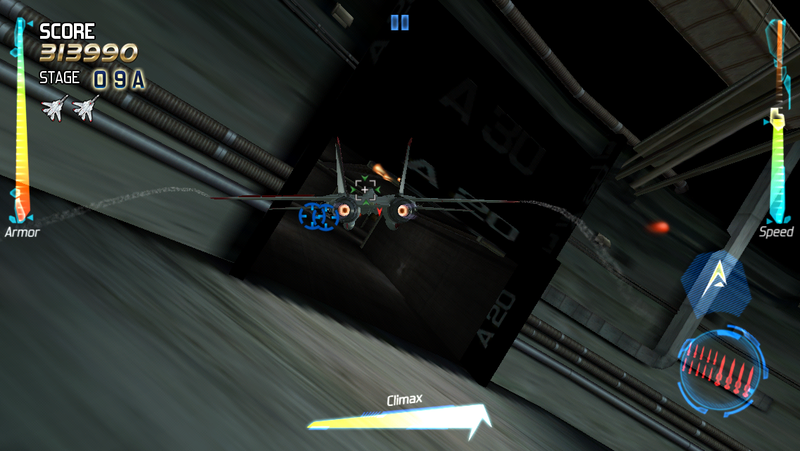 The third-person air combat remains as fast and intense as ever, and between your vulcan cannon and lock-on missiles, AM2 has added the new “climax” meter into the mix, which slows down time and allows you to target several enemies at once and build up your point multiplier. It’s a pretty neat addition, and it feels naturally integrated into the game, although it’s not exactly revolutionary. The visuals of the game really do look great. There are beautiful blue skies reminiscent of SEGA games of old, sweeping canyons, stunning sunsets, and vast underground bases to infiltrate. Every stage brings a slightly new environment, and there are also branching paths along the way prompting multiple play-throughs to check out all the stages. If you do well enough and succeed in your primary missions, you’ll be sent on bonus secret missions as well. The music? No need to worry about that. An arranged version of the original six After Burner themes is one of your musical options from initial take-off, and it sounds awesome. There are also new rock tracks available as the default, and while my nostalgic ears don’t prefer them, they still are more than adequate in providing the auditory backdrop to fast-paced gameplay. Oh, man! I just climaxed! 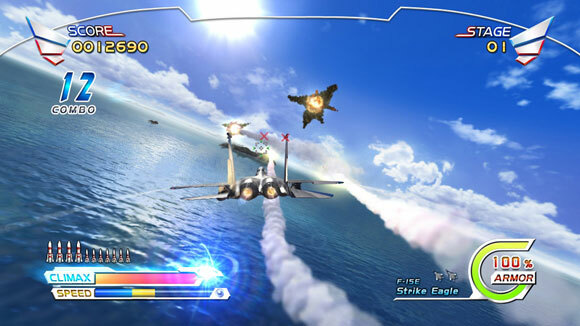 One of the greatest things about the home ports of After Burner Climax is the ability to unlock new abilities and customize your game to your liking. There are many in-game challenges which unlock new options once you complete them (and satisfy some very easy achievements/trophies along the way). These options include powering up your weapons, removing the smoke trails from missiles fired, upping your number of lives and continues, even turning off the enemies’ ability to shoot at you. Needless to say, these options can make the game incredibly easy to complete if you turn them all on, but enabling them is entirely under your control, and players can only post to the leaderboards using the default options, which keeps the online playing field level. It really is a pretty game… Oh, uh… Guns. If there are criticisms to levy against After Burner Climax, one has to be that the game is short. It’s an arcade game after all, and you can complete the game from beginning to end in less than twenty minutes or so. That may be a deal-breaker for some of you, and I get it, though I never once played through it and thought “Wow, I really wish this game was at least five hours long,” and if it was much longer, I would be more likely to knock it for overstaying its welcome. Besides, being so short, you can still play through with different planes, take different paths, and unlock new options to customize the game to your liking, so it’s not as though it’s a one-and-done. There’s also the aforementioned leaderboards to compete on as well. Collateral damage from falling debris? Never fear! That’s not America down there! I should also mention that despite the very pretty updated graphics and the addition of the “climax mode” mechanic, there isn’t really too much new in After Burner Climax over the 1987 arcade original. To be fair, it’s not as though we’ve been inundated with After Burner sequels over the years. Prior to Climax, the last game to share the After Burner name was After Burner III on SEGA CD, and even that was technically a sequel to G-LOC: Air Battle branded under a different name. The only gameplay snag I ever really experienced is that sometimes it is difficult to see oncoming enemy fire due to the amount of action on the screen, especially from behind the smoke emanating from your own rocket fire, so you may take a cheap hit or two. However, as I mentioned above, you can unlock an option to turn off the smoke with relative ease, so that shouldn’t hold you back after just a couple of quick plays-through. Why can’t we fight real wars in places that look this nice? I hope that the rumors of its delisting are wrong and that After Burner Climax remains available for a long time to come, but for those who missed out on Out Run Online Arcade (which also was removed a couple of years ago due to an expiring license), I’d hate for yet another SEGA arcade classic to disappear into the digital-only ether and for any SEGA fans to miss out. If you’re still on the fence (and have an Xbox 360, at least), you owe it to yourself to at least try out the free demo, ASAP. Remember, the rumored date for it to disappear forever is December 24. Being short but sweet, I understand that it may not be worth ten bucks to every single player out there, but everything in the game is executed nearly perfectly, and I expect that the developers at AM2 managed to accomplish everything they intended to. 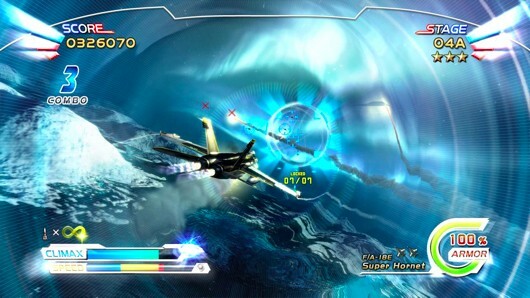 After Burner Climax is possibly the perfect realization of the original After Burner vision. Play it before it’s too late. The mobile version of After Burner Climax attempts to cram all of the goodness of the console versions into a convenient, pocket-sized port, and to a large degree, it succeeds. I won’t bore you with rewriting too much of what I’ve already droned on about in the console version review. The mobile version has pretty much all of the gameplay and options of its console counterpart, including all the great tunes, multiple planes and pathways, and the unlockable customization options. Like on consoles, you have several planes to pick from. Let’s get a couple of things out of the way quickly: the game looks good-though the visuals are a slight step down, the smaller screen size makes enemies harder to hone in on, there are no in-app purchases-so the three-dollar asking price unlocks the game in full, there are slower load times, and the game crashed on me once in my several plays-through. These tight corridors are tough to navigate using the mobile controls. Of the two schemes for controlling your plane, I’d say I prefer the accelerometer over the touch option. There isn’t an onscreen thumb pad in the latter, so you can slide it and place it anywhere you deem most comfortable, and to some degree it works okay. I just seemed to run out of room on my left or lower limits when I tried to move too far in either of those directions, so I moved on to the accelerometer. Tilting your phone allows for much faster reactions than the touchscreen, and spinning my phone actually got me into the game more than I expected. It’s definitely the most responsive of the two control schemes, but there’s a snag. Once calibrated, all seems well, until the calibration slowly starts to go off course. I’m not sure what explains this, but the developers knew it was an issue as they threw in an option to recalibrate during the load times between each stage. If the calibration takes perfectly, it’s great, but often it took me a couple of trips to the pause screen to lock it down tight, and even then it only held firm for a stage or two. It doesn’t break the game, but it hurts it. And the F-14 Tomcat flies off into the sunset… or maybe the sunrise… Oh, for crying out loud! It’s supposed to be poetic! What if we never get another After Burner game! Be emotionally moved, dammit! 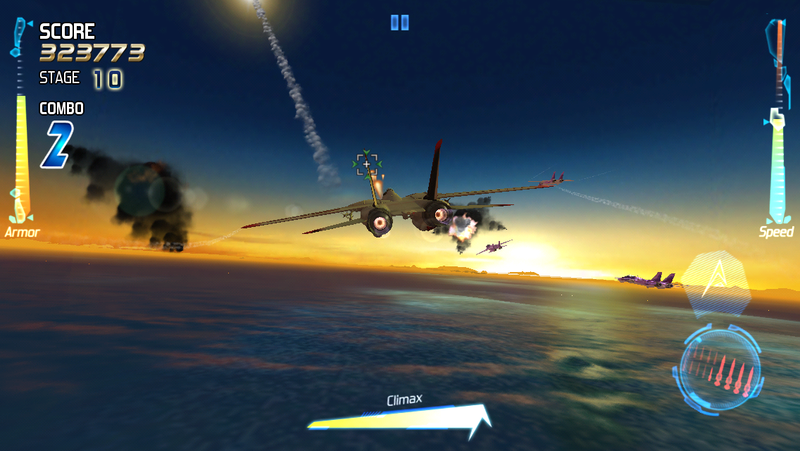 If you want a cheaper version of After Burner Climax, the mobile version really isn’t bad. Honestly, the short length of the game lends itself very well to the mobile platform, and it’s still a fun, pretty game with killer tracks and decent replay value. 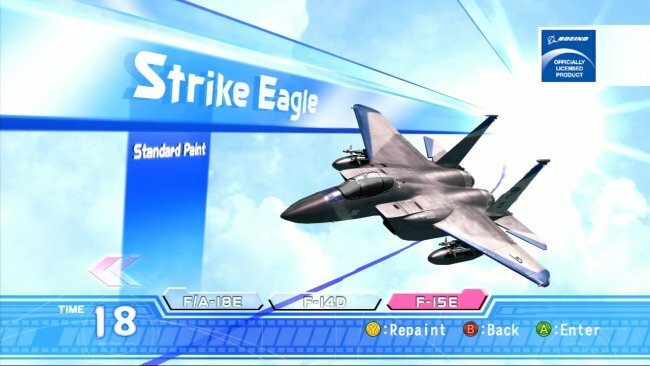 It’s too bad that there wasn’t a more elegant solution for controlling your plane, but After Burner Climax is still playable despite the limitations of the platform. *Xbox 360 and iOS versions were played for the purposes of this review.